Spear fisherman Michael Bray, of Johnson Street, Peakhurst, holds a 23in long black bream which he caught in Sydney Harbour off Shark Island. Michael arrived for the Metropolitan Skin Divers’ Club presentations with the catch last night. “Now they will have to believe me” he said, nursing the deep-frozen bream weighing 8lb 1oz (3.657kg) and with a girth of 20 inches. He saw the fish while swimming with a friend, Mr Mervyn Sheehan, of Sans Souci, on Friday. Michael said he used a rubber-powered gun for the catch. Michael, a sculpture student at the East Sydney Technical College belongs to the St. George Skin Divers’ Club. He said he would eat all of the fish himself tomorrow. “I’m very fond of fish.” He said. The publisher of “Anglers Digest” said last night that Mr Bray’s catch was almost certainly a record for a speared fish. He said an 8lb 4oz black bream had been caught with a line at Swansea in 1967, but previously spearfishermen had not caught one anywhere near that weight. An article by a very old friend of mine, Bill Barada, is based on the findings of a survey on the “Sport Fish Catch and Effort” made by the Resources Agency of the Department of Fish and Game of California. This comprehensive report by Daniel J. Miller and Daniel Gotshall, took four years to compile and concerned nineteen employees of the Department directly assigned to field duties on the project, apart from scores of persons acting in honorary capacities. This 135 page report, which I have read carefully, completely dispels any theory that skindivers could be held responsible for any overall depletion of fish stocks in the U.S.A. and there is nothing to suggest it would be otherwise in Australia. Of all sport fishermen, anglers fishing from piers, jetties, etc., captured 1,034,000 fish representing 32.1% of the total sport catch. Shore fishermen, angling from beach, rock and estuary, contributed 31.9% of the total, while anglers operating from charter boats caught 24.9% and from small craft 10.5%. Skindivers or spearfishing, with all its so called efficiency, accounted for 0.7% of the total sports fish taken. From: Australian Skindivers Magazine September 1966 page 13. 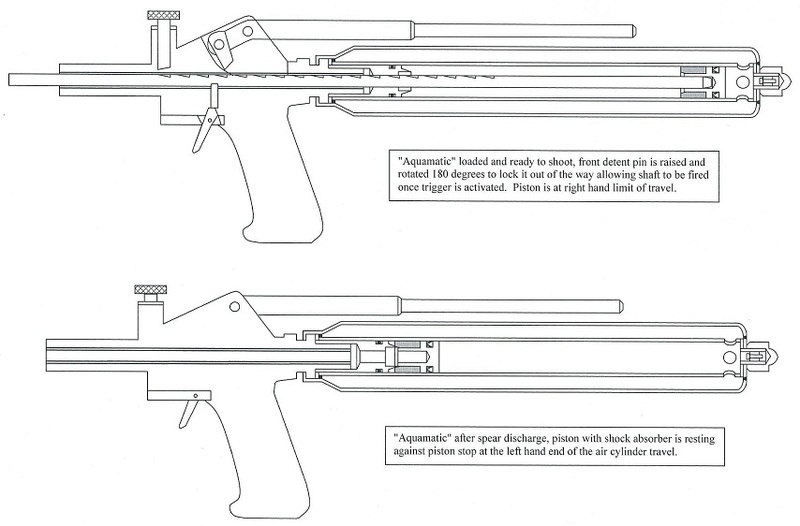 The N.S.W. Government has banned the use of self – contained underwater breathing apparatus (Scuba gear) for spearfishing. The Chief Secretary, Mr. E.A. Willis, said that the new regulations issued yesterday under the Fisheries and Oyster Farms act would make it an offence to take or attempt to take any fish except abalone while wearing the apparatus. In effect the only breathing device that can be used is a snorkel. Mr. Willis said the regulations had been recommended by the NSW Amateur Fishermen’s Advisory Council, and had been endorsed by the Underwater Skindivers and Fishermen’s Association. The USFA of NSW Committee expects every affiliated club and member to respect and enforce this law, aimed at conservation, and report any breach of same. In an effort to determine just which club was the best the Sans Souci Dolphins decided to organise a “Premier Club Competition”. An invitation was sent to Mid-South Marlins, top Southern Division Club, and Newcastle Neptunes, the best from the north. Both clubs readily accepted. The rules were as follows – the top ten from each club fished, with one diver from each club in each boat. The scores from each diver were totalled for the club’s result. Plenty of hard work by Bob Searl ensured that everything was right, except for the weather, but even the strong southerly and rough seas did not dampen enthusiasm and friendly rivalry. It was good to see the Dolphins able to supply the ten boats required, but special thanks go to John Stone and Barry Heywood for taking their boats out even though they did not fish in the competition. Scores were low due to the dirty water, but they were sufficient to cause excitement in the weigh – in ring as, with only George Davies and Jack Jones to weigh in, only nine points separated the Neptunes and Dolphins. The final result put the Dolphins in front by 23 points. The most meritorious fish was a Black Reef Leatherjacket weighing 2lb. 4oz., scoring 46 points by John Waples and the biggest fish was a Mulloway of 21lbs. caught by Phil Gibson. It is intended to make this an annual event. It is hoped that the top club of each division will compete for the perpetual shield which has been donated by the Dolphins. Newcastle, Sunday – A young experienced skindiver was drowned when competing in the Pacific Coast Spearfishing Championships at Broughton Island, near Newcastle. The man, Kevin O’Sheehy, 23, of Villawood, Sydney was a diabetic. A doctor who attended him said he could have died while in an insulin coma. 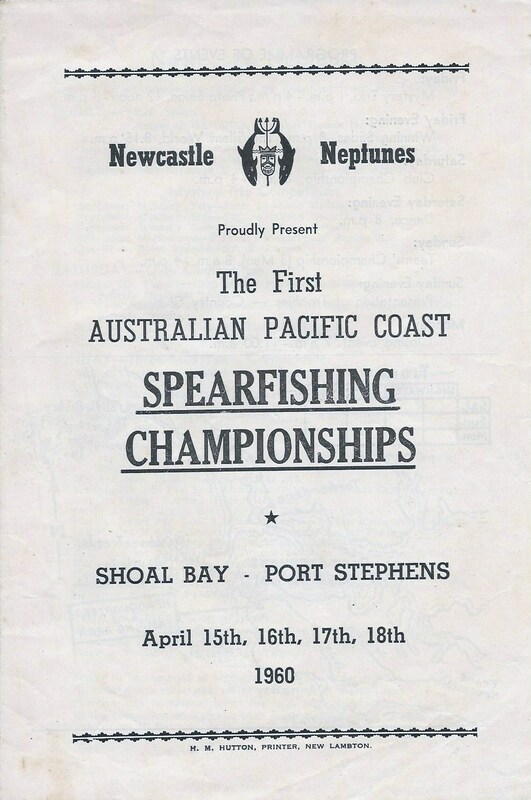 Promoted and run by the Newcastle Neptunes Underwater Club, the first Australian Pacific Coast Spearfishing Championships was held at Shoal Bay, Port Stephens over the Easter Long Weekend from 15th to 18th April 1960. Fridays programme featured a mystery trio spearfishing event during the afternoon and whilst this event was in progress judging took place for the photographic competition. Friday night featured an Open Air Theatre screening of the winning slides followed by a showing of the film “The Silent World”. Best underwater transparency was won by Walt Deas with a magnificent photo of a Giant Groper. The mystery trio event, which was a novelty competition designed to get everyone used to the three man team event was won by Russ Smith, Newcastle Neptunes; J. Wynne, Canterbury Underwater Club, and G. Mathews, Western Sub-Mariners. On Saturday 16th the Pat Helsham Trophy for the Premier Club of the Australian Pacific Coast was contested from 8am to 4pm. This competition was decided on the aggregate scores of the top eight competitors from each club. Most competitors fished Broughton Island but others fished as far south as Rocky Point. The day proved quite eventful and quite a few competitors encountered sharks. The Neptunes became the Premier Club with a score of 4,268 points. Runner up club was St. George Sea Dragons with 3,440 points, followed by North Shore Sea Hawks with 2,551 points. Just over 160 competitors signed-on and were limited to one fish of each species. Top scorers for the day were Allan Whitford, Newcastle Neptunes; Dave Rowlings, St. George and George Davies, Newcastle Neptunes, each with more than 20 varieties of fish. A Cabaret was held at Shoal Bay Country Club on Saturday night with most competitors retiring early in preparation for the teams event the following day. The sun shone brightly once again on Sunday and competitors were on their way at 8am sharp. Thousands of spectators crowded the control centre area as competitors raced back to deposit their fish in the weigh-in area by 4pm. The Premier 3 Man Team Trophy was won by Bill Lewis, Jack Evans and Jim Harper, all from ST. George Club with 1,566 points followed by the Sans Souci Dolphins team comprising Johnny Black, Brian Raison and J. Lock with 1,245 points. Trophies were presented at the Country Club Hotel in the evening and a representative from Belmont Apex Club was presented with a cheque for seventy seven pounds, ten shillings and six pence, being the proceeds from the fish auctions held over the three days. The closing competition held on Monday from 7am to 11am brought in some really good fish. 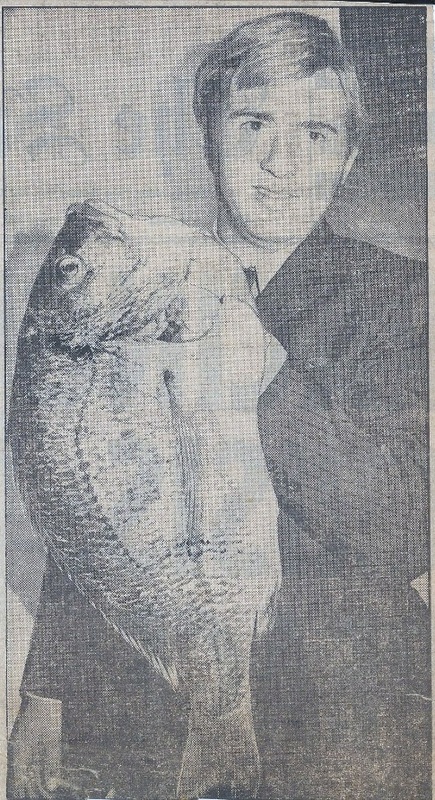 The winner of the most meritorious fish prize was George Schulz of Newcastle Neptunes with a 66lb. 8oz. Kingfish. The final days trophies were presented to the winners and so ended the first Australian Pacific Coast Spearfishing Championships. 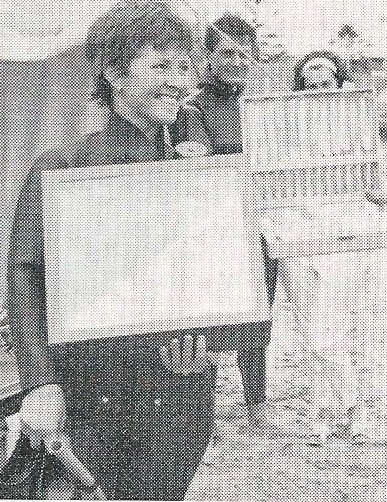 After nearly 10 months of planning, the first official Victoria versus New South Wales Interstate Spearfishing Competition took place at Eden on the Far South Coast of New South Wales over the Queen’s Birthday weekend in June of 1967. Over 200 skindivers and their families from as far away as Avoca and Warrnambool in the Western Districts of Victoria and Canberra and Sydney arrived at Eden for the weekend. Most of Saturday was spent looking over the fishing areas and preparing for the big competition. On the Saturday night at Eden’s “Hotel Australasia” had never had such a packed beer garden in its history and I think that also went for the Hotel Eden and the Eden Fishermen’s Club. Ross Page, of Port Hacking, Sydney, was on the loudspeaker bright and early on Sunday morning and pretty soon the camping ground was a hive of activity. Just before the word “go” was given at 8:30 a.m., we noted the sign on was 198 competitors, one of the best sign-ons for a spearfishing competition for the last couple of years. And, just to make it an extra-successful weekend, two late sign-ons brought the total to 200. At 8:30 a.m. sharp 200 skindivers raced to boats moored off the beach and to cars and were soon scattered over 60 miles of coastline. At 2:30 began the massive task of weighing-in nearly 3,000lb. of fish. With two weigh-in areas going flat out this was not completed till 6:30 p.m. that night. While this was going on the organisers were also flat out working out scores and allotting the 60-70 separate prizes. On the Sunday night we had hired the Eden picture theatre and with two of Ron Taylor’s top underwater movies were due to start at 8:00 p.m. with the presentation of prizes at interval. The films got underway around 8:30 and once again the old town was in for a shock. Nearly 300 people packed into the theatre and by 9:00 there was standing room only. At interval the presentation of prizes got underway and it was noted that the individual winners all had fantastic scores. Open: Robin Montcalm, 663; Junior: Rick Baker, 605; Ladies: Robyn Page, 342. Highlights of the evening were the announcement of The Most Meritorious Fish Overall with the prize of a “Tudor Oster U/W Watch”, donated by Angus & Coote of Sydney, and the drawing of the lucky sign-on number for which the prize was a “Nikonos U/W Camera”, donated by Maxwell Photo-Optics of Melbourne and Sydney. These prizes went to Doug Trinder of Mid-South Marlins and Allan Potter of Port Hacking Penguins in that order. After the presentation of prizes, we all settled back to the second half of the programme. I would like to take this opportunity to thank every skindiver who travelled to Eden to compete in the competition, plus everyone who helped with the organising, plus all the generous companies and people who donated the $1,000 worth of prizes.